The last trading day of this week at the local stock market ended positive on Friday with an appreciation of 0.63 percent. This was the second consecutive growth the Nigerian Stock Exchange (NSE) was recording after the Sallah break observed on Tuesday and Wednesday. At the close of transactions today, the year0-to-date return reduced to -7.37 percent as investors sustain the buying pressure. While the All-Share Index (ASI) increased on Friday by 220.01 points to settle at 35,426.17 points, the market capitalisation appreciated by N80 billion to finish at N12.933 trillion. 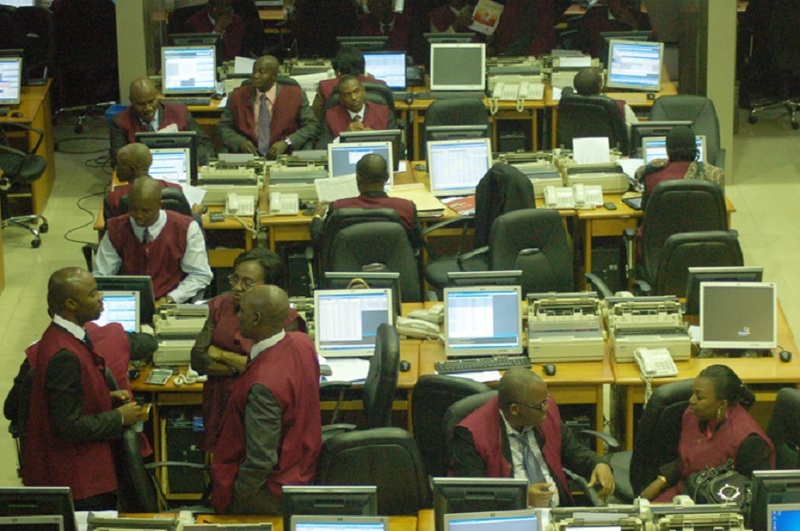 Business Post reports that the volume of shares traded at the exchange today rose sharply by 139.11 percent to 527.7 million from 220.7 million, while the value appreciated by 78.81 percent to N4.5 billion from N2.5 billion. The most traded equity on Friday was United Bank for Africa, accounting for 235.7 million units worth N1.9 billion. It was followed by NEM Insurance, which transacted 93.1 million shares valued at N279.2 million, and Ecobank, which exchanged 21.9 million stocks worth N438 million. Regency Alliance Insurance traded 18.8 million equities today valued at N4.2 million, while FBN Holdings sold 17.9 million shares worth N172.7 million. At the end, the banking stocks dominated trading on Friday with a total of 324.4 million units traded for N3 billion, while insurance stocks following with 138.4 million units sold for N295.1 million. A total of 18 stocks appreciated in price today with Dangote Cement leading them with N5 added to its share value to close at N235 per share. It was trailed by Flour Mills, which rose by N1 to finish at N21.50k per share, and Ecobank, which gained 80 kobo to close at N20 per share. Newrest ASL Nigeria increased by 45 kobo to end at N5.30k per share, while NEM Insurance grew by 15 kobo to settle at N3 per share. International Breweries led the 15 depreciating stocks today ahead of the launch of its new factory in Sagamu, Ogun State next Tuesday. The company’s shares lost N2 at the stock market today to close at N32 per share. Africa Prudential went down by 35 kobo to end at N3.70k per share, while GTBank declined by 30 kobo to settle at N37.50k per share. University Press shed 23 kobo to finish at N2.07k per share, while NASCON lost 10 kobo to close at N19.90k per share.